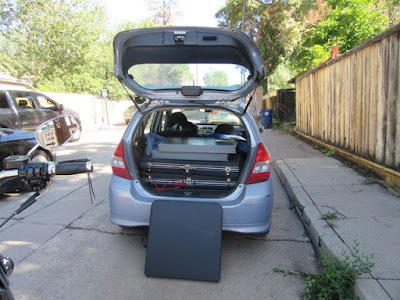 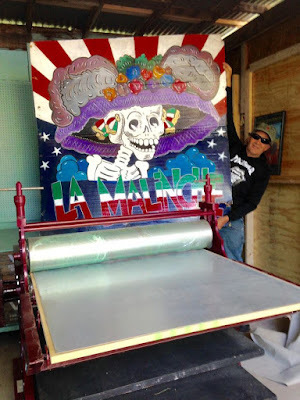 In 2017, the press finds it's permanent home at Martin's studio "La Malinche." We delivered the Desert Triangle Print Carpeta to the University of Arizona Art Museum in Tucson, Arizona, on September 13, 2016. 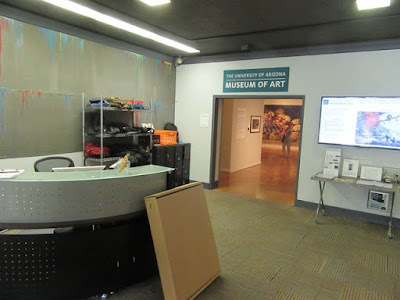 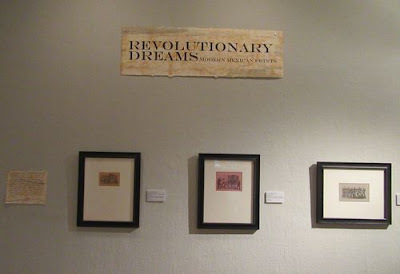 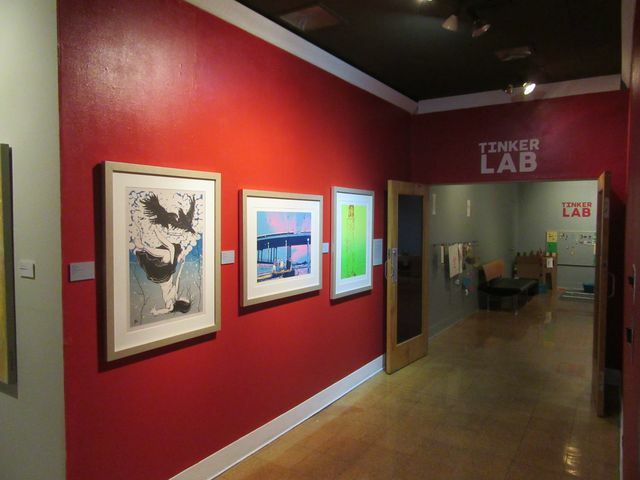 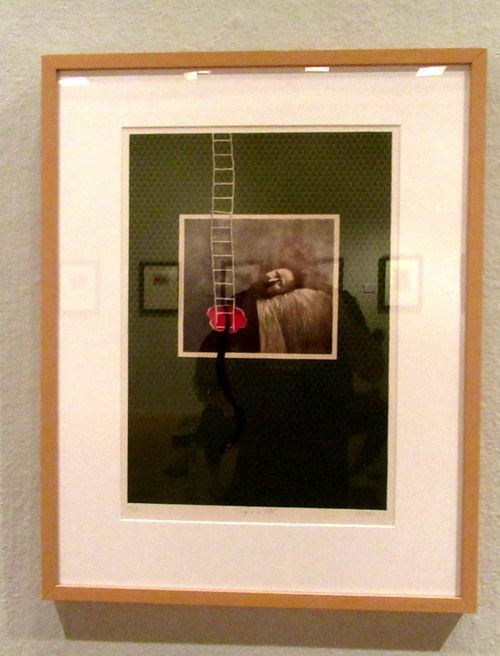 3 of our prints are hanging at the University of Arizona Art Museum. 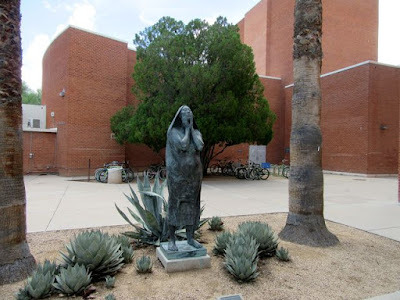 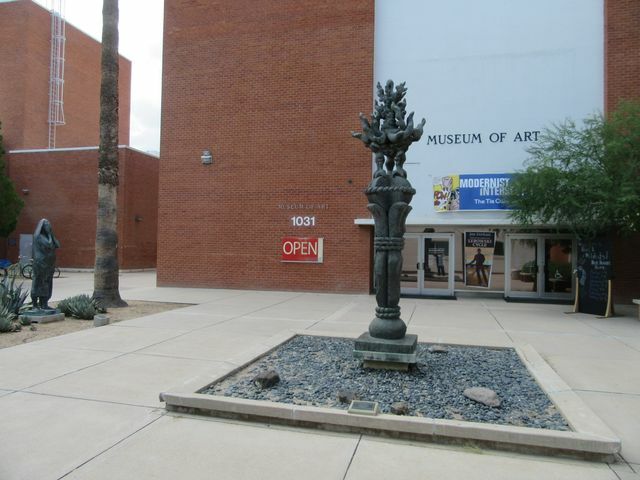 "Standing Woman with Hands on her Face"
The University of Arizona also houses the Center for Contemporary Photography, with an extensive photography collection. 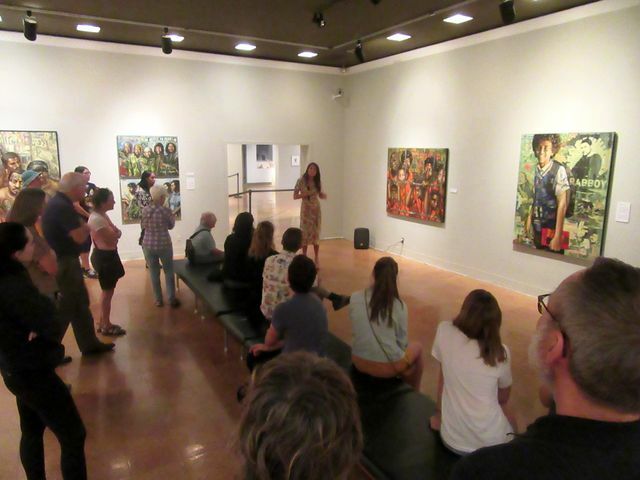 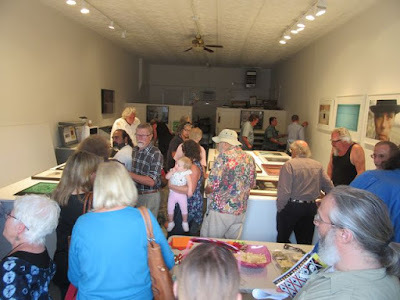 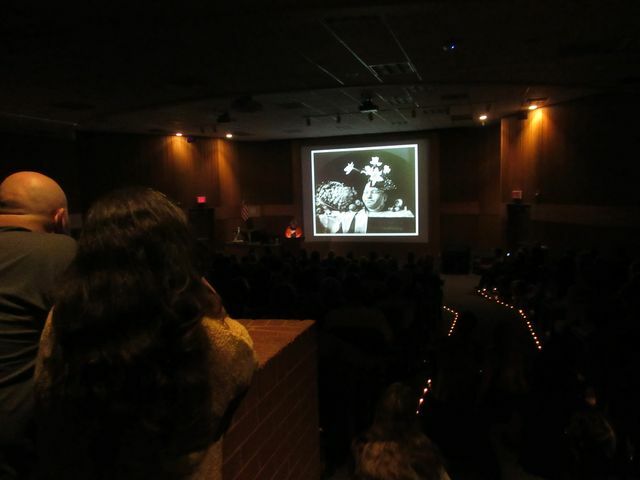 Last Friday, September 16th, they sponsored a Joel-Peter Witkin talk, to a full house, in conjunction with his show at the Etherton Gallery in Tucson. 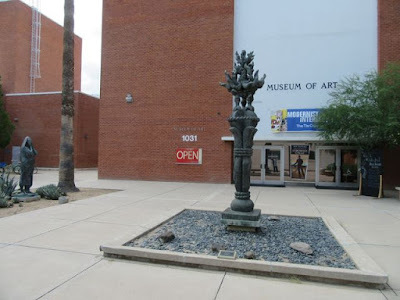 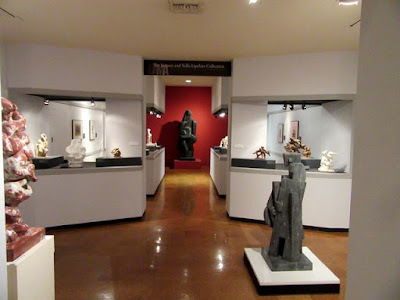 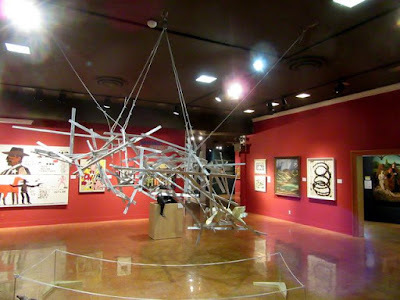 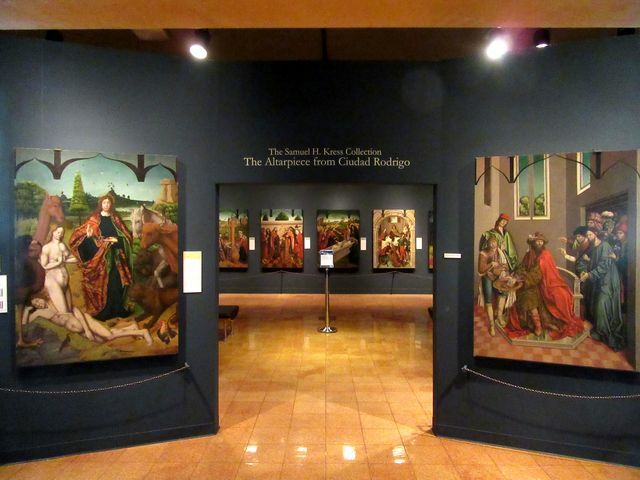 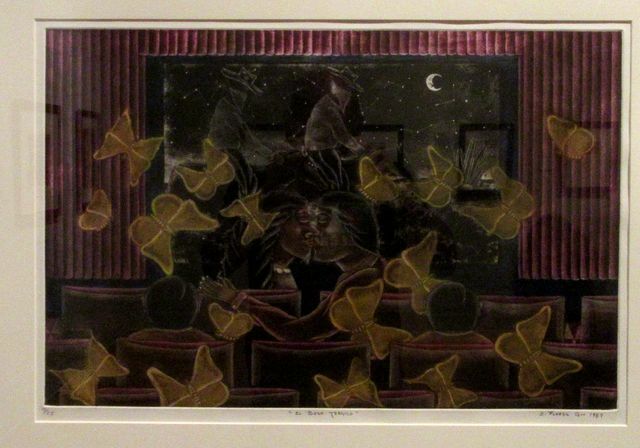 Search the University of Arizona art collection online. 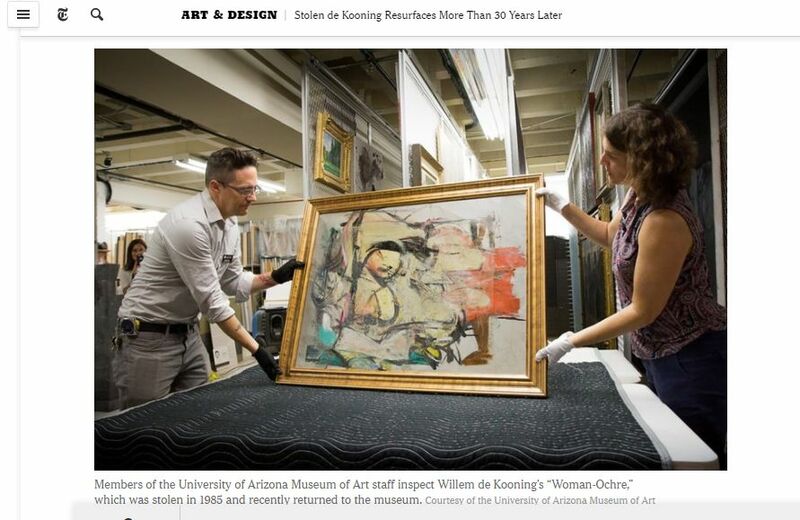 The University of Arizona Art Museum just recovered their missing painting by de Kooning from Silver City New Mexico, after it went missing for more than 30 years. 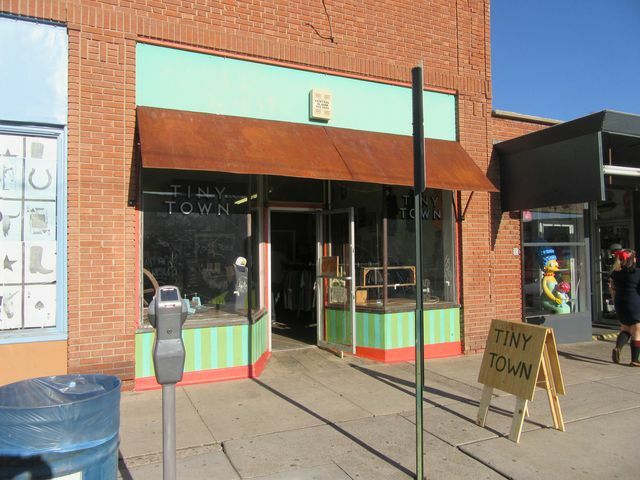 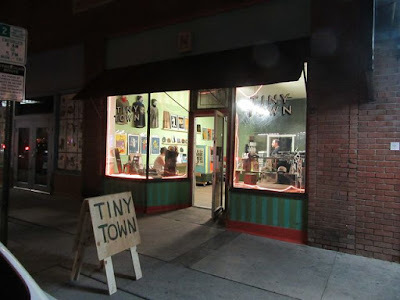 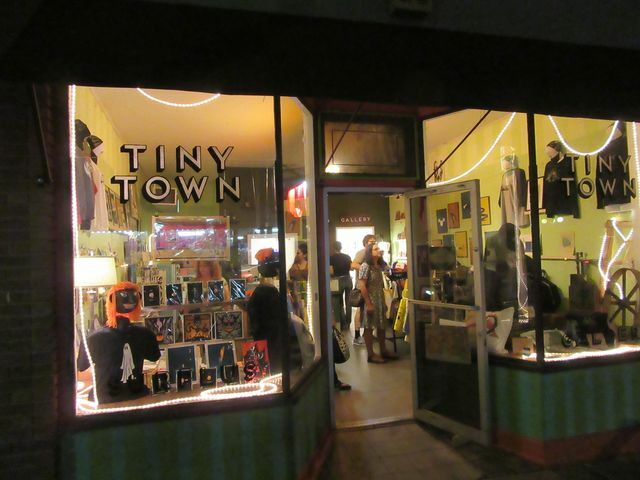 Tucson just opened a retail print shop -- Tiny Town -- on 4th AVENUE, where the street car passes, on its way to the University of Arizona. 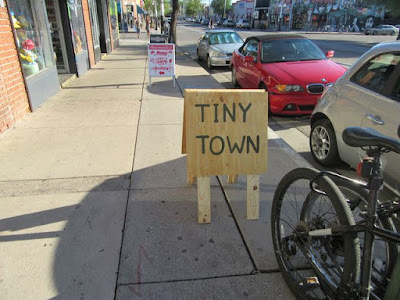 between 6th and 7th streets. 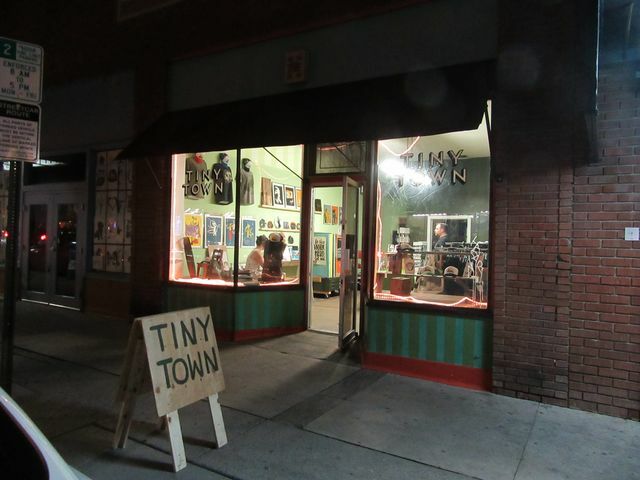 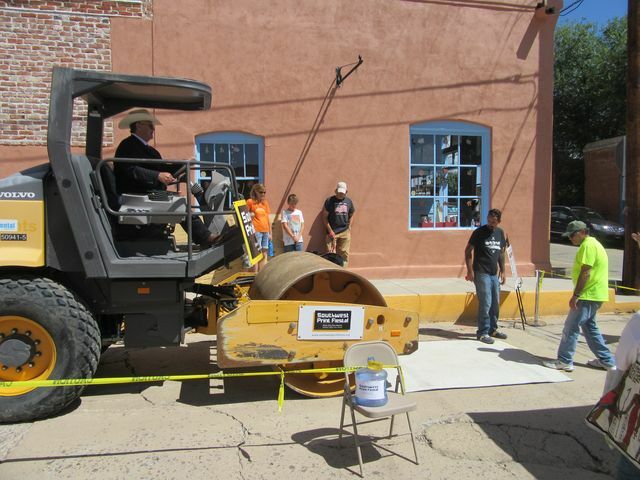 UPDATE: Tiny Town had a grand opening on Saturday, October 22, 2016. More printmaking!!! 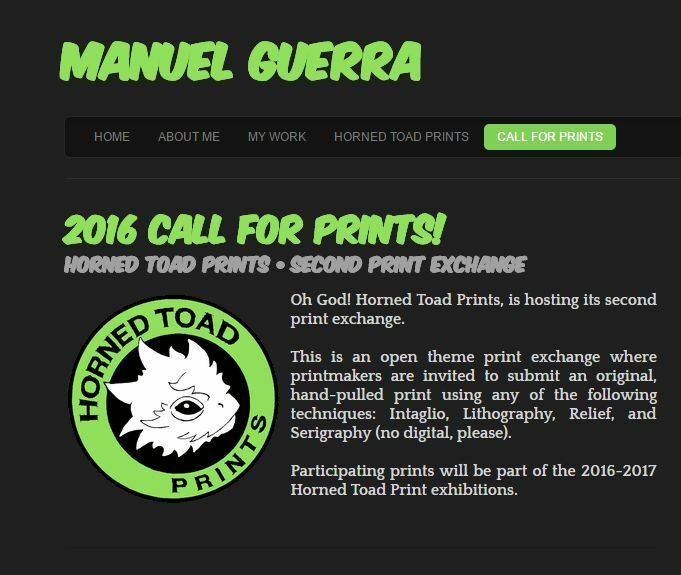 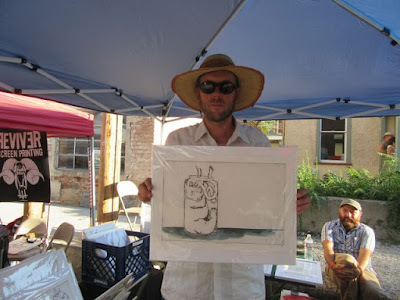 Manuel Guerra just put the call out for the second Horned Toad print exchange. 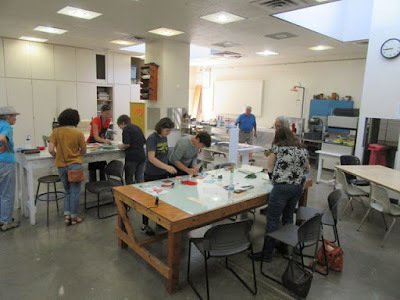 UPDATE: Registration extended until March 4th!!! 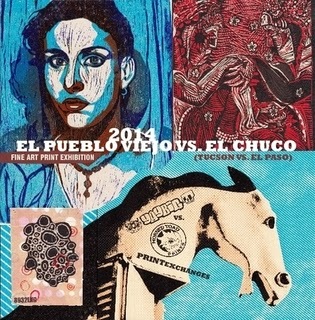 Editions due May 27th. 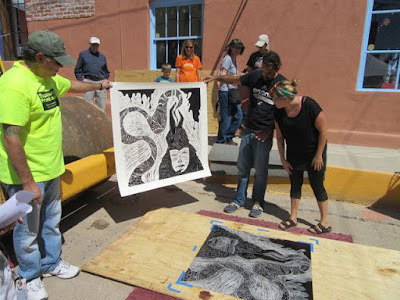 ELIGIBILITY: Open to all printmaking artists worldwide. 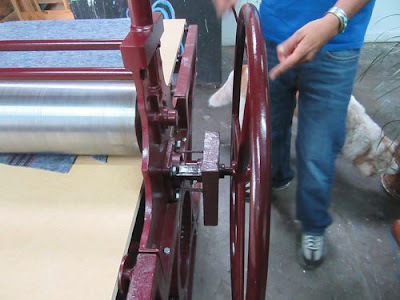 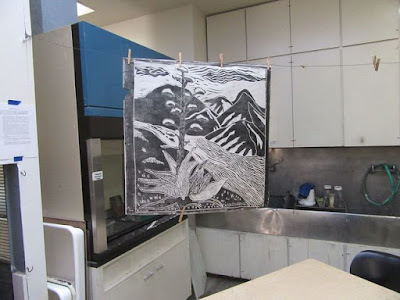 PRINTMAKING MEDIA: Any traditional printmaking technique: Relief, Lithography, Intaglio, Serigraphy, Letterpress, or a combination of any of these. 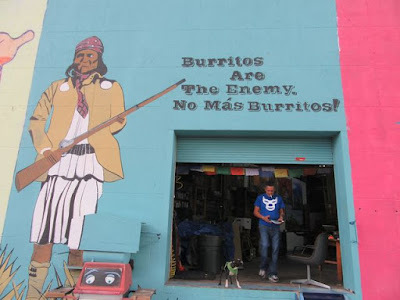 No digital, please. 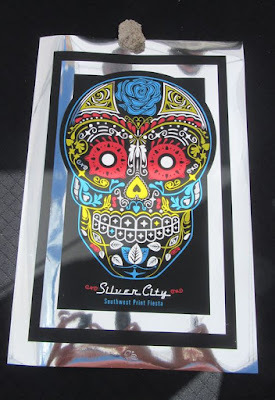 PRINT DIMENSIONS: Paper size strictly 8” x 10” (20.3cm x 25.4cm) no larger or smaller. 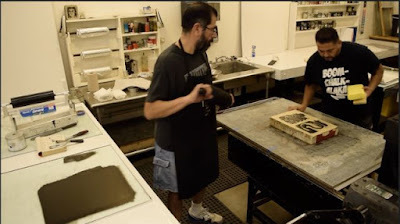 Printed area can be any size that fits within these dimensions. 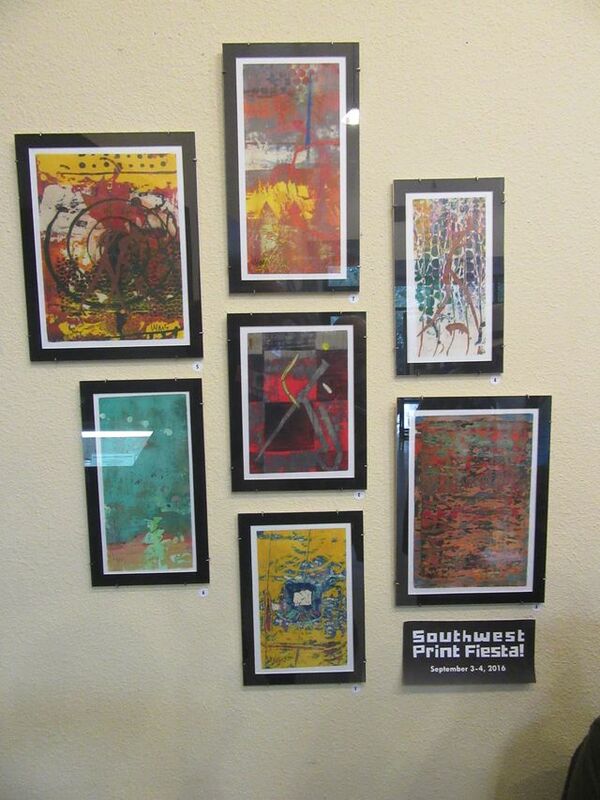 EDITION SIZE: Each participant must submit ten prints (10) all numbered, titled, signed, and dated. 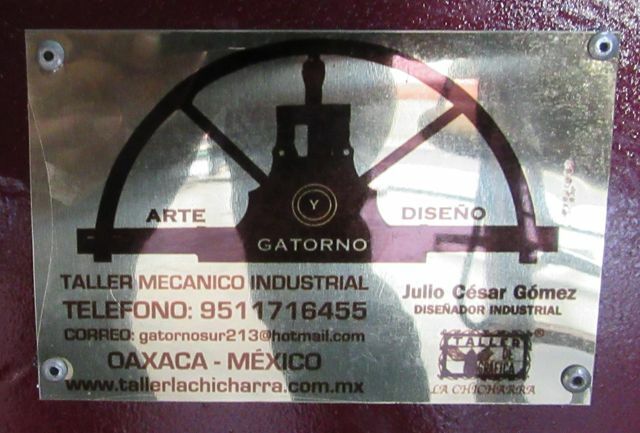 You may also include preferred contact information on the back of each print for networking. 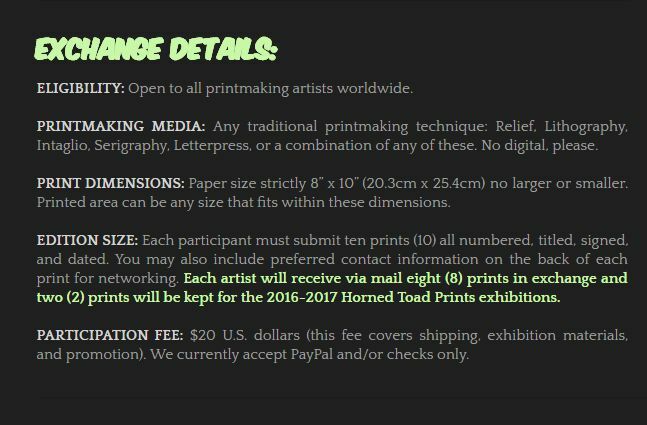 Each artist will receive via mail eight (8) prints in exchange and two (2) prints will be kept for the 2016-2017 Horned Toad Prints exhibitions. 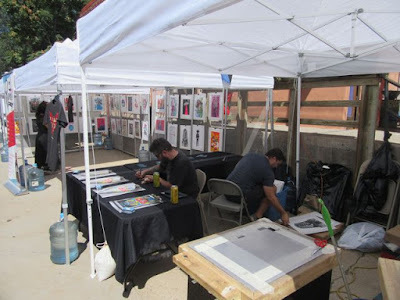 PARTICIPATION FEE: $20 U.S. dollars (this fee covers shipping, exhibition materials, and promotion). 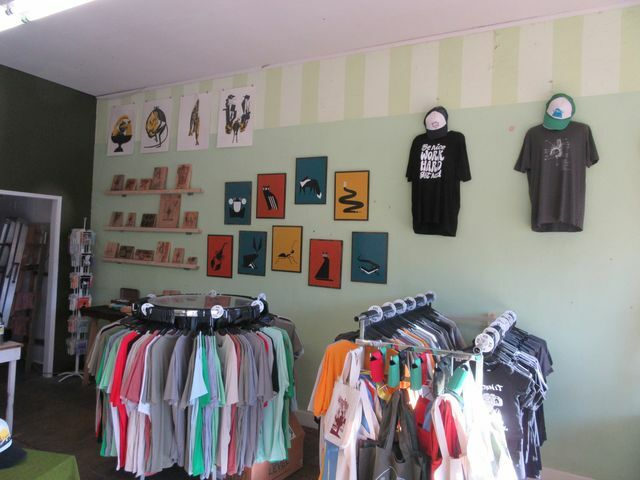 We currently accept PayPal and/or checks only. Registration will not be complete until payment is received. We accept PayPal and checks. Please note that this is NOT a postmark deadline. 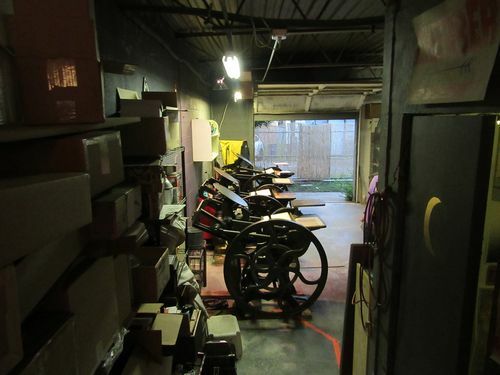 The prints must be received by this date. 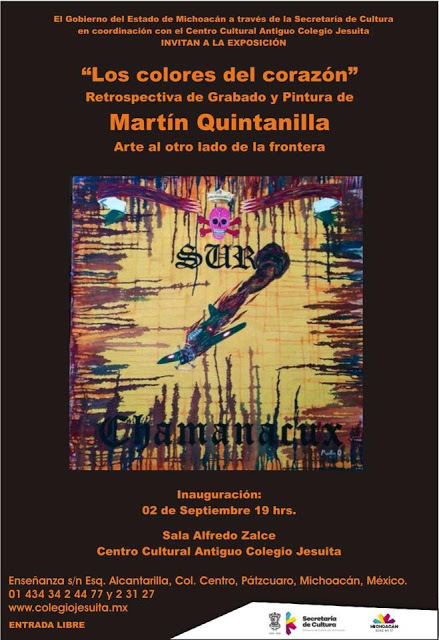 Register online, or with the pdf registration form. More information at the Horned Toad website. 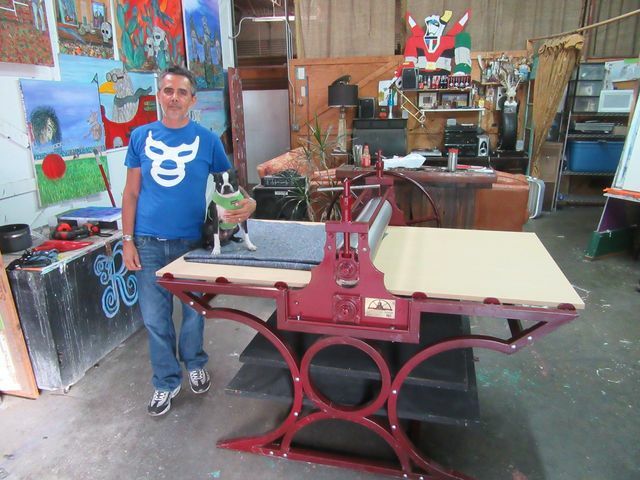 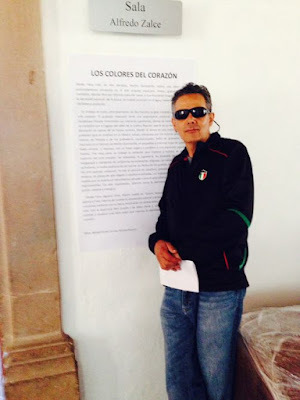 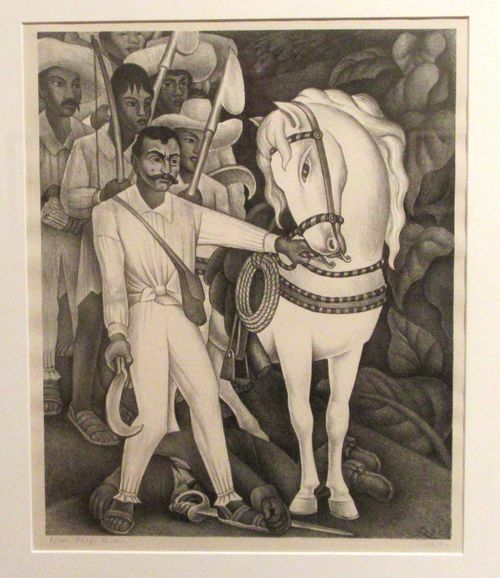 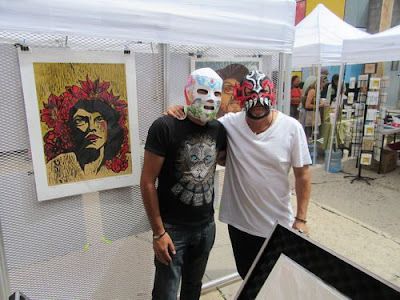 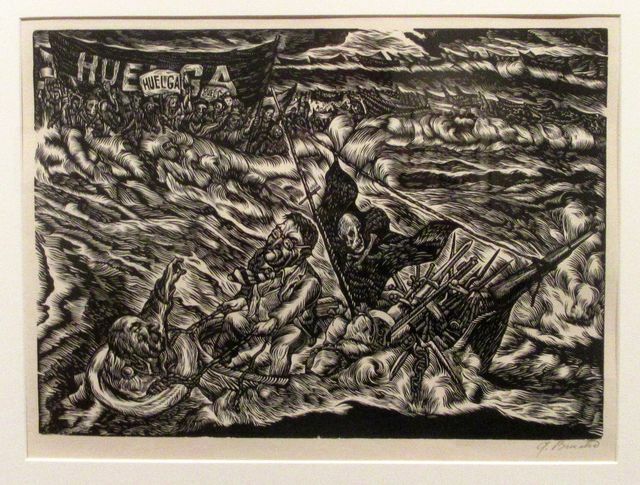 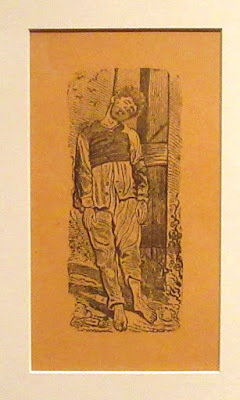 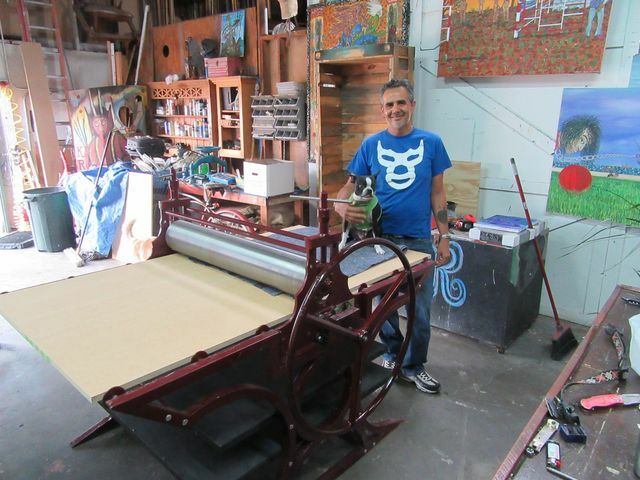 Manuel Guerra participated in the Desert Triangle Print Carpeta. In fact, his first Horned Toad Print Exchange was one of the projects that lead up to the Desert Triangle Print Carpeta. 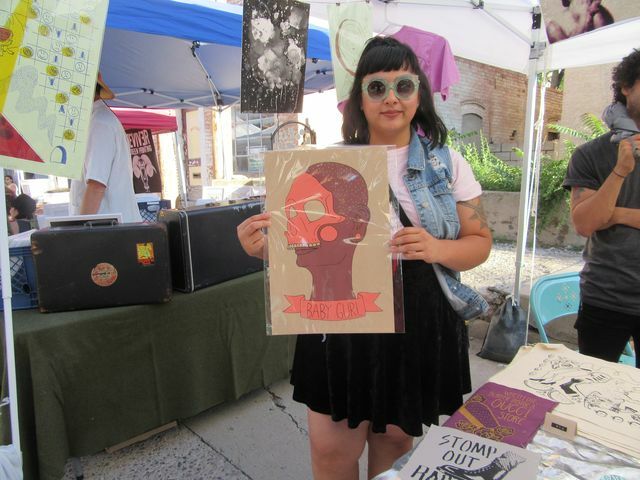 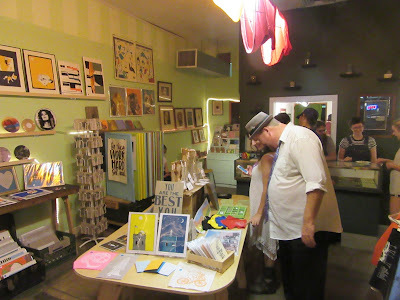 It inspired the YayBig Print Exchange, and we self-published both print exchanges in a catalog. 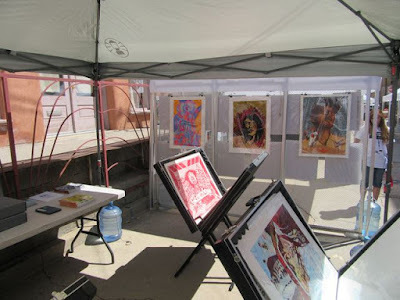 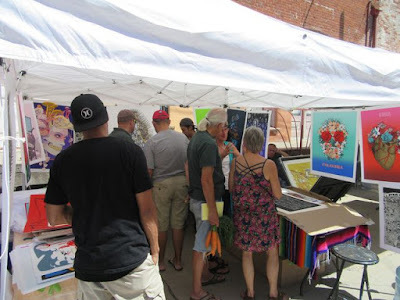 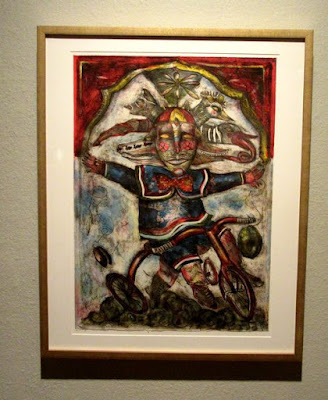 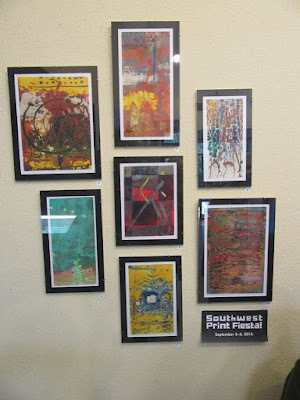 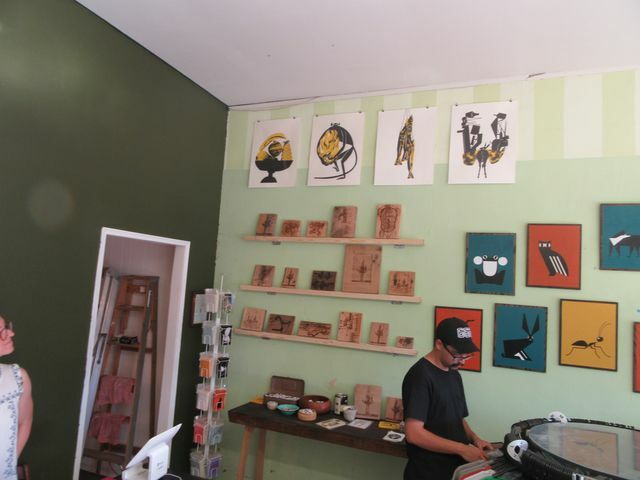 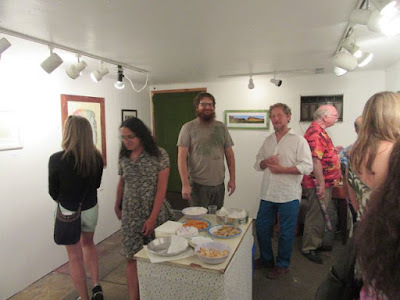 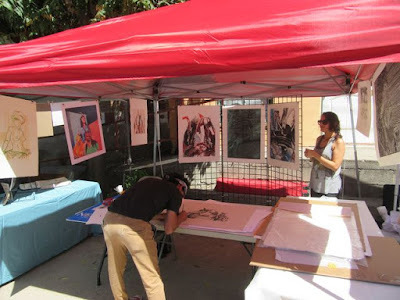 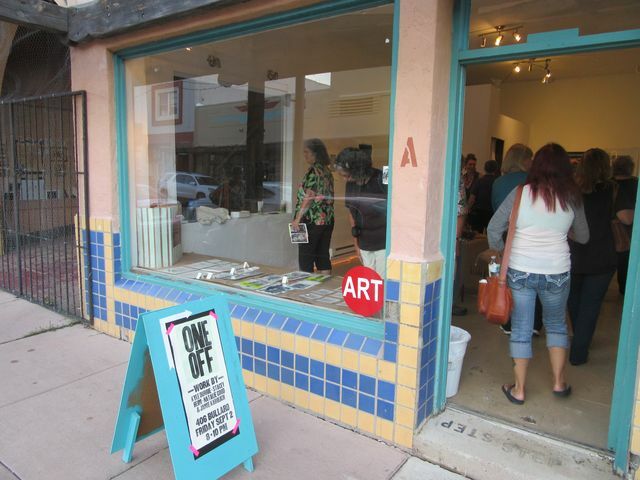 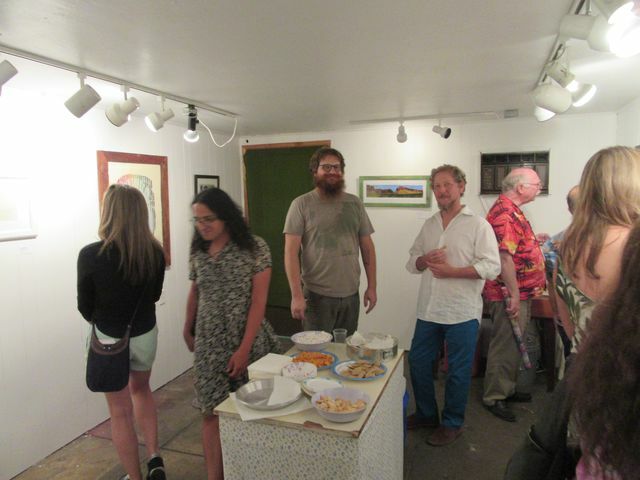 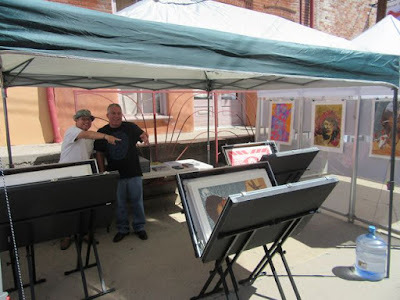 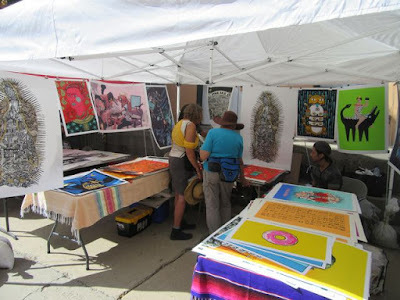 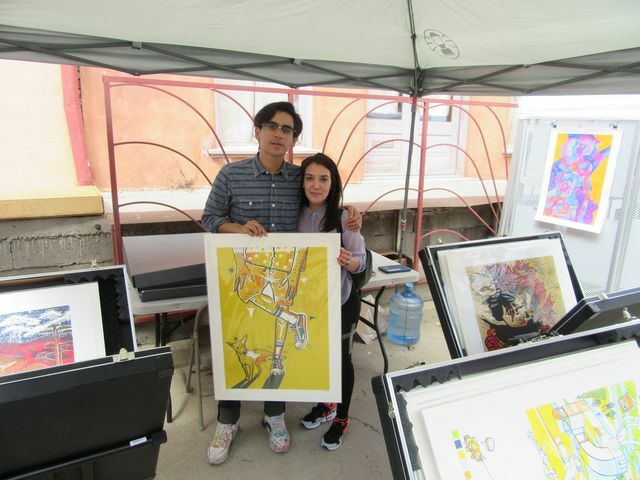 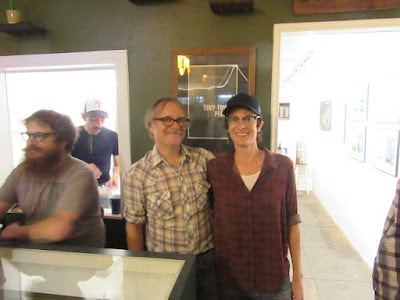 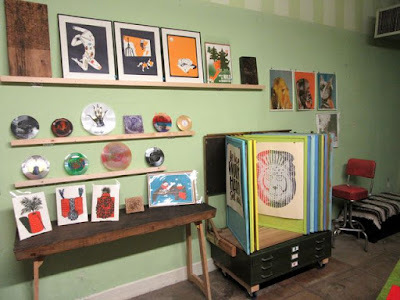 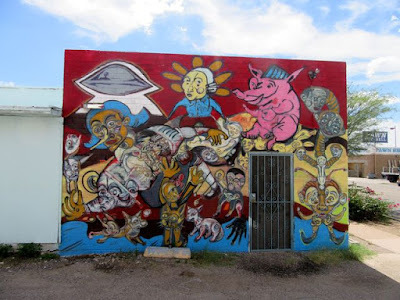 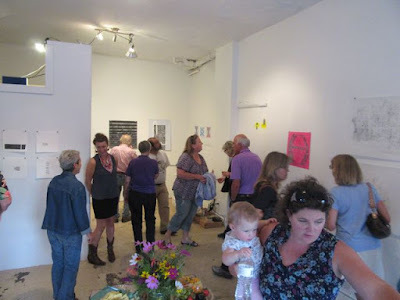 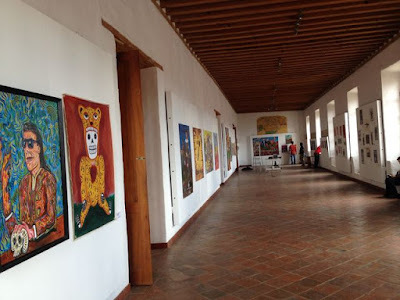 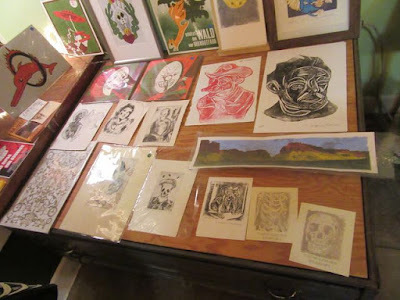 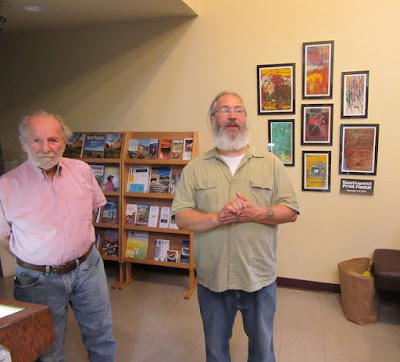 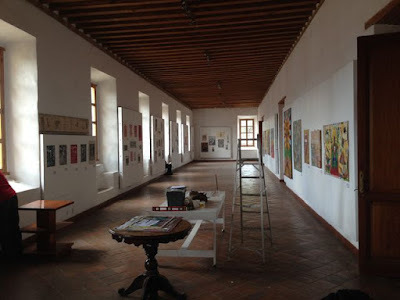 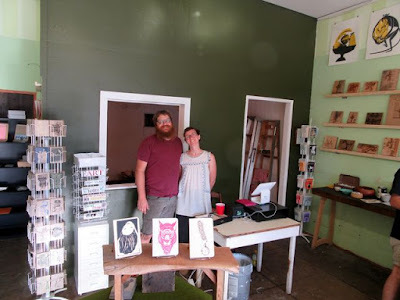 We also framed both print exchanges and exhibited them in Tucson, El Paso, near Sacramento, Ciudad Juarez, Yuma, AZ, Santa Fe, and soon Albuquerque. 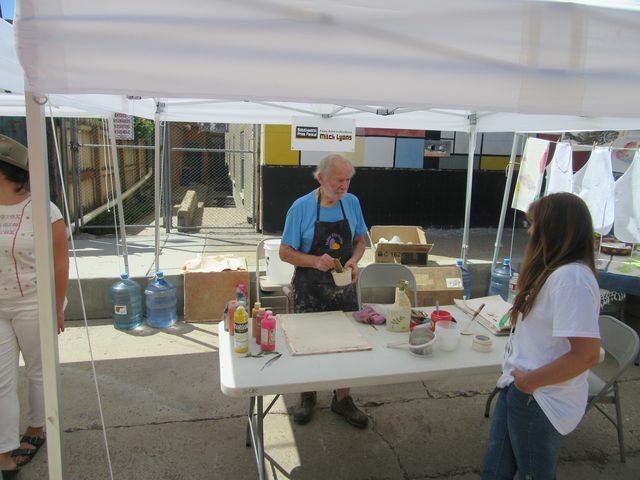 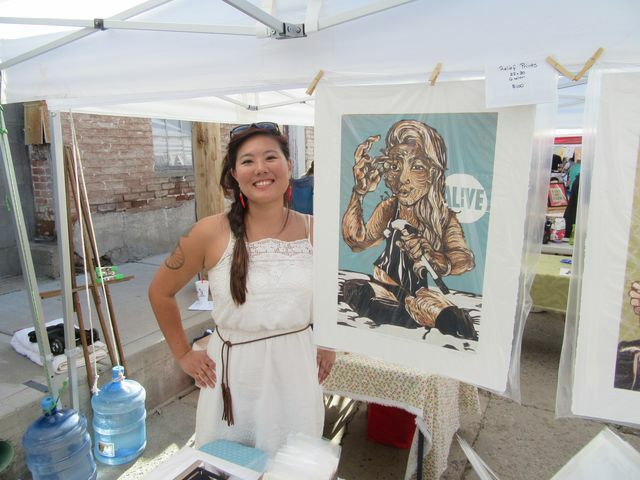 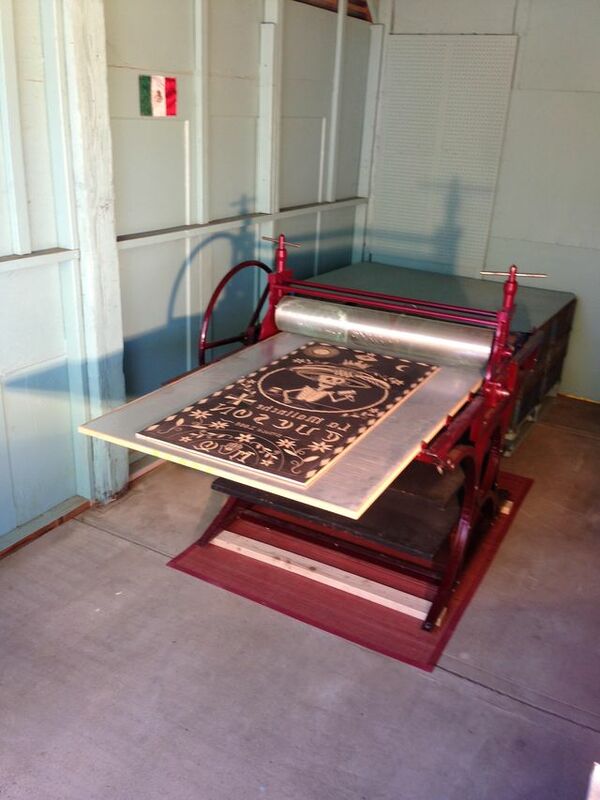 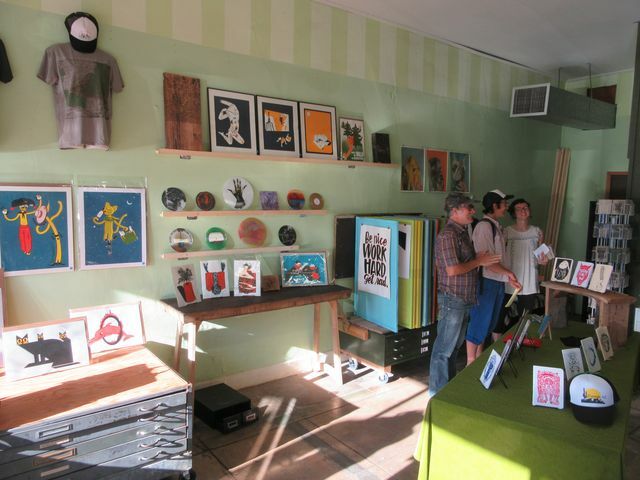 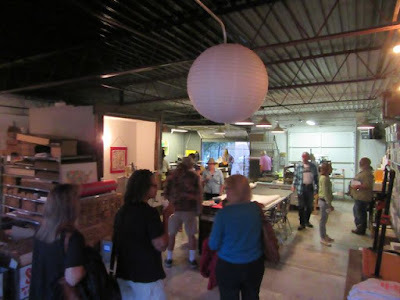 Also, a lot of the Southwest printmakers recently submitted to the Print Zero Print Exchange #9, of Seattle. 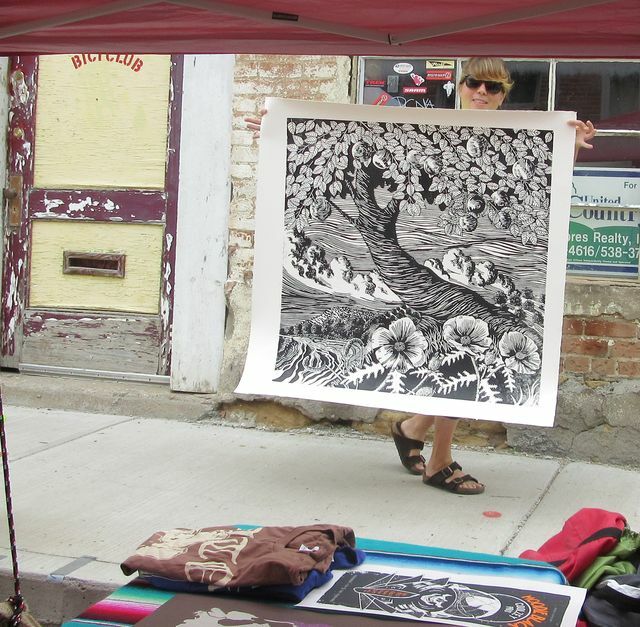 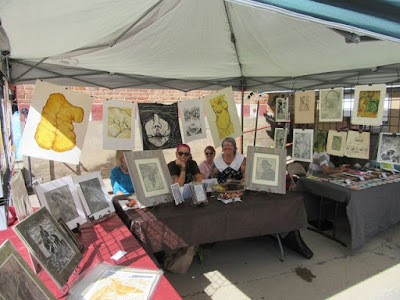 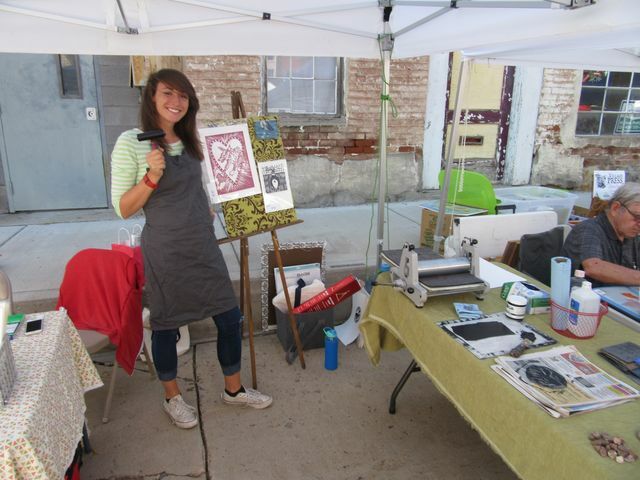 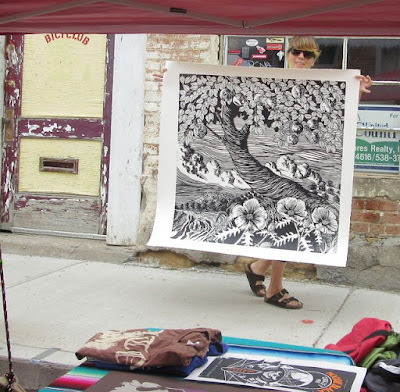 We brought the Desert Triangle Print Carpeta to the Southwest Print Fiesta in Silver City, New Mexico -- September 2 - 4.
right before the studio tour. 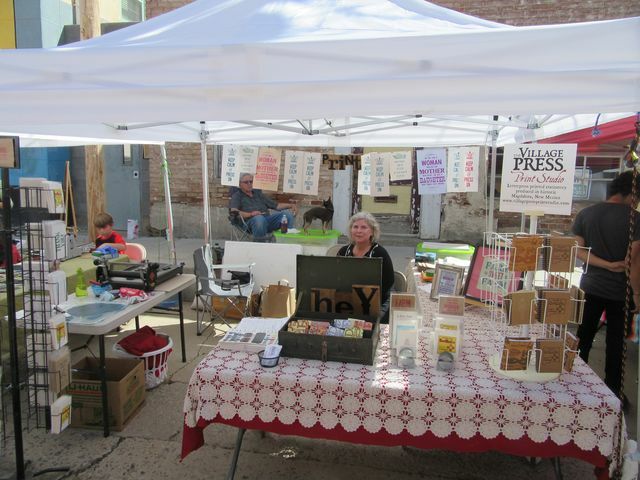 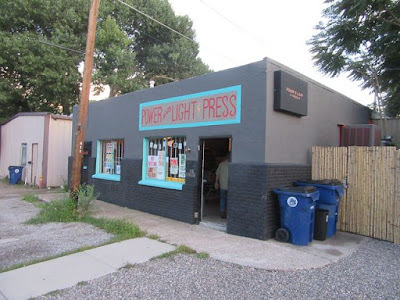 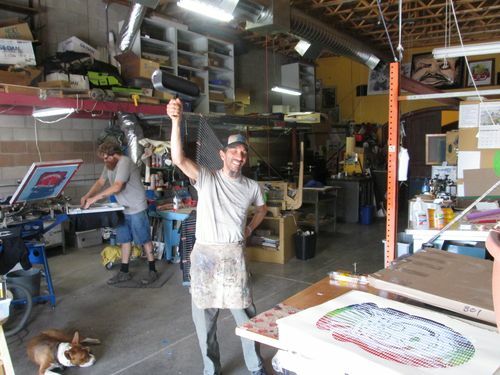 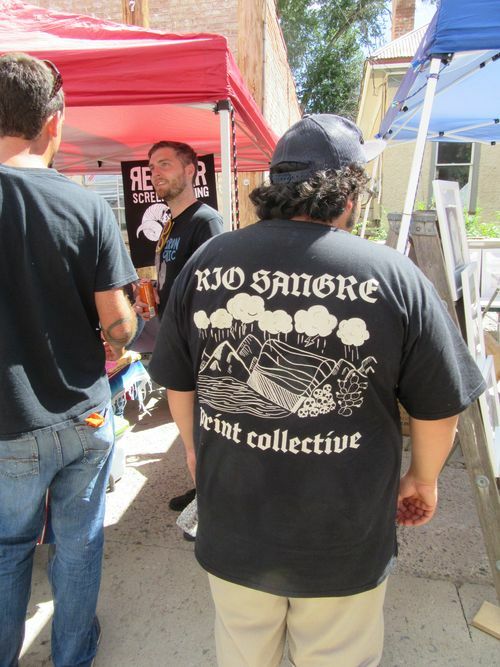 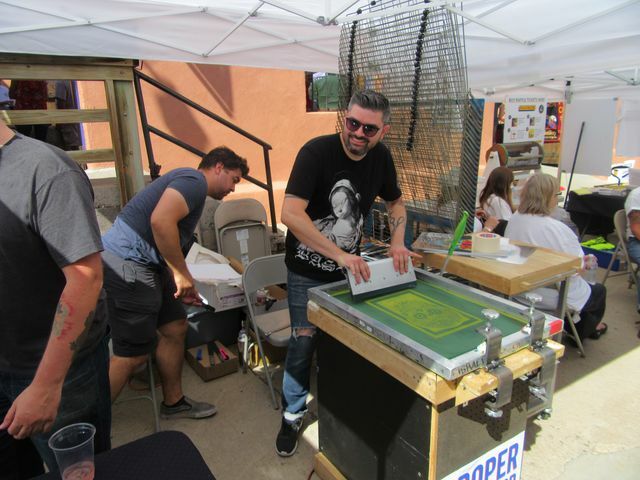 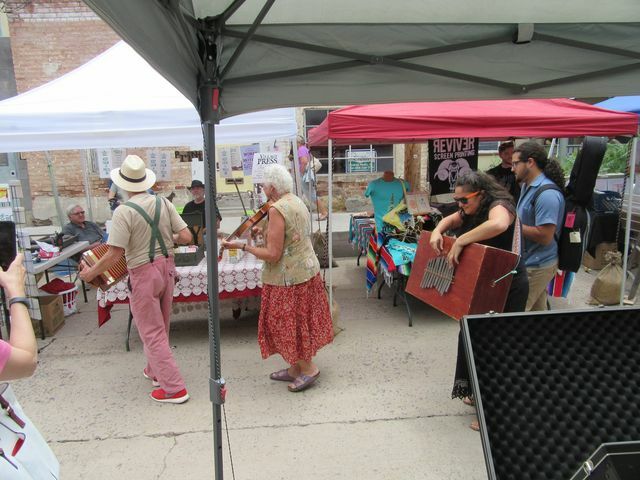 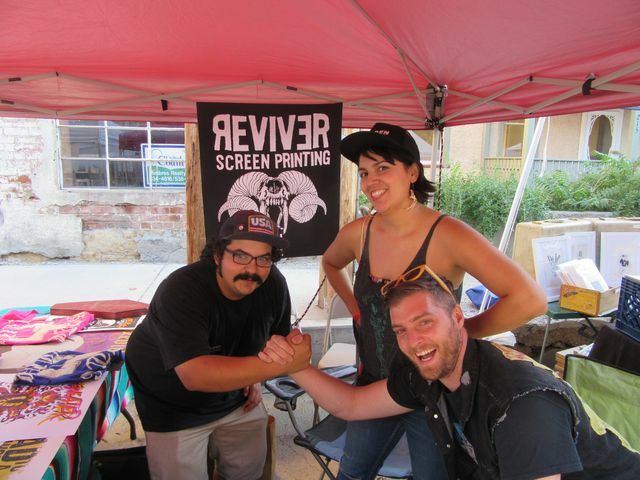 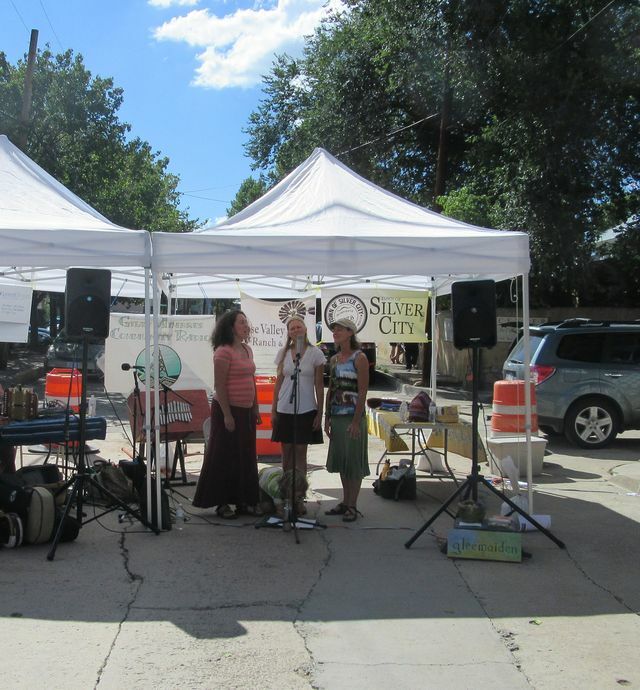 We met Rocky of Morning Star silk screeners of Silver City, and Joe Barela of Seribellum Press in Las Cruces.